The Redlands Symphony’s Annual Purse Party is back by popular demand! 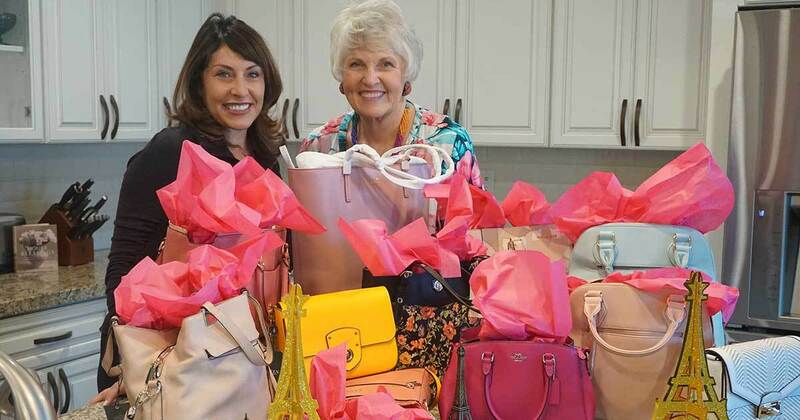 Our annual purse party is a silent and live auction to benefit Redlands Symphony. Great purses don’t just make an outfit. They can be the outfit. Whether you’re carrying a statement clutch or a splashy hobo – a fabulous bag puts a little pep in your step. The party is held at The Contemporary Club of Redlands. It is located at 173 South Eureka Street in Redlands, California 92373. The fun starts at 5 pm on 3/14 with the live auction beginning at 6:30 pm. Enjoy hors d'oeuvres and libations. There will be purses for every pocketbook. This year’s Purse Party will have dozens of designer purses in countless styles and patterns. We’ll have sassy satchels and fabulous wristlets. There will be purses in date-night black and everyday carryalls. No matter what you’re looking for, you’ll have multiple, elegant options from which to choose. The collection will include new and gently-used items provided by generous donors. If you have any gently used or new purses you would like to donate, contact the symphony office Monday-Friday between 9 AM and 5 PM. The value of each donated purse is tax deductible as allowed by the law. You can still register leading up to the event by contacting our office. If you need to register a group, contact the symphony office Monday-Friday between 9 AM and 5 PM.